At Natixis Investment Managers, we are actively committed to building a diverse and inclusive workforce. As a global asset manager with more than 20 independent investment affiliates, diverse thinking is at the heart of everything we do. We continuously work to create an environment that promotes diversity and inclusion in all its forms, across gender, race, religion, sexual orientation, disability, ethnicity and background. We believe this creates equal opportunities for our employees — and better outcomes for our clients and communities. 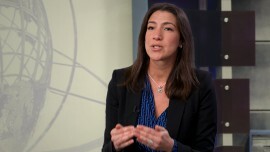 Diversity is a business imperative at Natixis. Our multi-affiliate business model is built on our belief that leveraging many different ideas and perspectives leads to better results for our clients. Attracting and developing diverse talent is crucial to our long-term success, so our commitment to advancing diversity and inclusion in our offices and communities is an important part of our focus on sustainability. Our culture invites different perspectives, new ideas and opportunities for growth. We work hard to ensure employees feel welcome and are valued and recognized for their hard work. WINN is a global network that supports career success and personal growth of women at Natixis through leadership development and learning, networking, and mentoring and sponsorship opportunities. More than 800 members are engaged in WINN groups across the US, Paris and London. MADE helps cultivate an atmosphere that supports employees of culturally diverse backgrounds through personal and professional development workshops, networking, and mentoring. 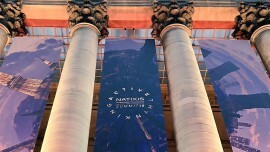 ABLE brings together Natixis associates aged 21-39 to focus on career growth and the unique fundamentals that help retain young professionals. LaF is a Latino-based forum open to all associates that provides networking opportunities, informal mentoring relationships, and support. Employees have embraced the various affinity groups and are encouraged to initiate new groups of interest across Natixis' global enterprise. Natixis is a Founding Member in partnership with the CFA Institute to increase gender diversity in global capital markets. Professional women at Natixis mentor college women who, in turn, mentor under-served girls from 3rd through 5th grade and introduce them to colleges and career paths. Participate in leadership development programs for Natixis’ multicultural talent to help develop racially and ethnically diverse leadership pipelines. We are supporting Invest in Girls’ program that ensures that all girls have access to a financial education.